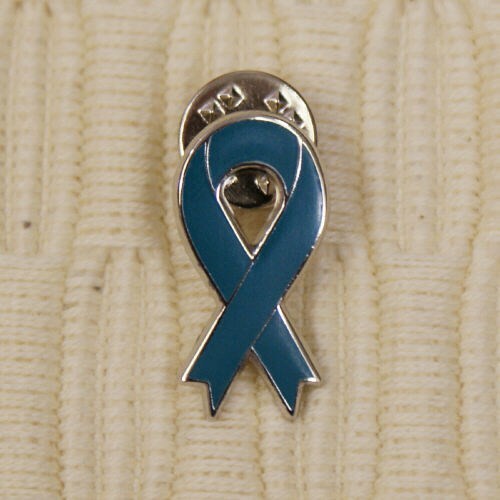 Awareness Lapel Pins are fashionable for any Awareness event or simply for everyday support! Show your support at your next team Awareness Walk with our variety of Awareness Pins! Our Awareness Pin measures 7/8". I was very happy with the speed my order was sent.m I am happy with the teal pin. Additional Info At MyWalkGear.com, we are proud to help make a difference for those diagnosed with diseases so we have created a selection of unique Awareness Products for you and your loved ones to helps spread awareness. Be sure to also view our Personalized Hope Love Cure Awareness T-shirt and our Embroidered Believe Awareness Hat as well!